Introducing the dark and dramatic Antibes showcase from the Daytona collection by Signorini & Coco. Inspired by the striking art deco style of the 1920s, the range takes style cues from this glamorous era. Meticulously handcrafted in Italy, the Antibes showcase is presented with a beautiful deep wooden veneer visible through the front panels of glass. 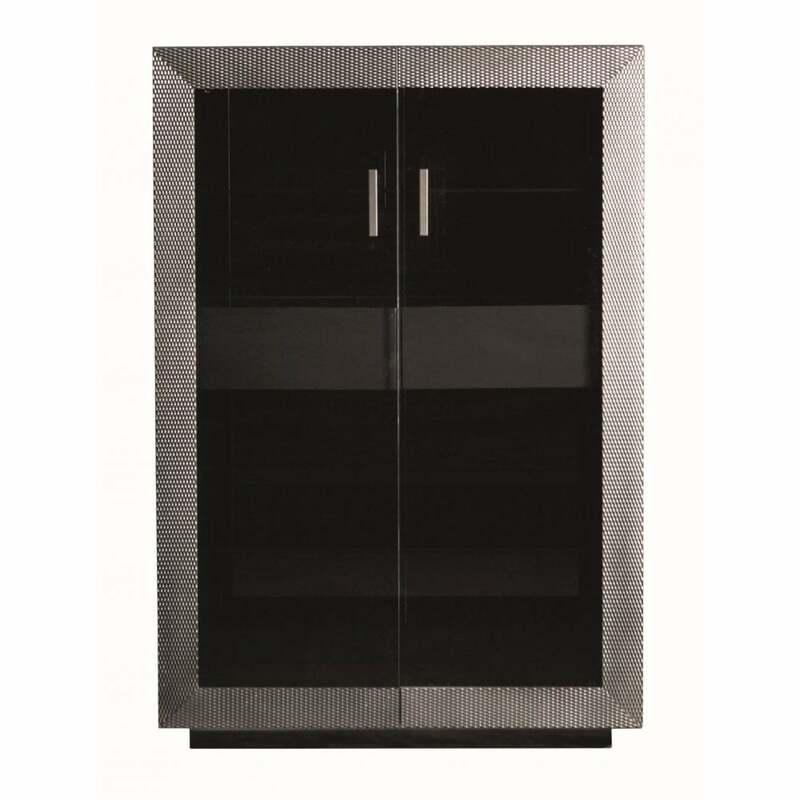 Brushed gloss titanium doors outline the unusual workmanship of the Antibes showcase. Style in the living room with complementary furniture from the Daytona range.